One of the greatest advantages of semi-permanent eyeliner can be applied either lower or upper line or both. A unique semi-permanent lip makeup which achieves beautifully shaped and tinted lips. It is highly recommended for smudge-proof, saving times spent endlessly reapplying lip color, and it also restores shape and fullness and transforms thin or uneven lips. If you are using any medication please consult with your doctor if this treatment is right for you. Avoid working-bout the day of your appointment as the body heat will expand the pores. Do not take aspirin, niacin, vitamin E and Ibuprofen, omega-3, unless medically necessary, 48-72hrs prior to the procedure. The following treatment should be avoided within 4 weeks of the procedure. There are no implied or written guarantees if you don’t take care of your semi-permanent makeup. Do not dye, perm, or use an eyelash curler for 2 weeks. Do not use mascara until outer healing is complete (3-5 days) Most clients are returning to work in 2 days and are non-compliant about this, so at least begin with a new tube of mascara due to a risk of bacterial presence in used tubes. Stay a little faster out on the lashes, not too close to the liner. Remove with Vaseline or baby oil without rubbing it into the liner. Eyes will be swollen for a few days. Eyes may feel dry or irritated. Lubricating refresher drops may be used. Do not let the area dry out completely since this can cause scabbing and creaking of the skin surface. There may be moderate swelling, redness and bruising for the 5 days. Apply a Ziploc bag filled with water and ice for no more than 15 minutes at a time to reduce swelling. Mucosal eyeliner may cause eyes to stick together for the first few nights. If this occurs wet face and loosen the area with warm water, and then reapply a small amount of olive oil. Expect the color to eventually lighten by up to 40% once the healing process is complete. Color may appear sketchy at different stages of healing. Be patient. This is a process that does not yield immediate results. Permanent makeup ink is not the same as body art ink, and by design it does not last as long as body art ink, and by design it does not last as long as body art ink. 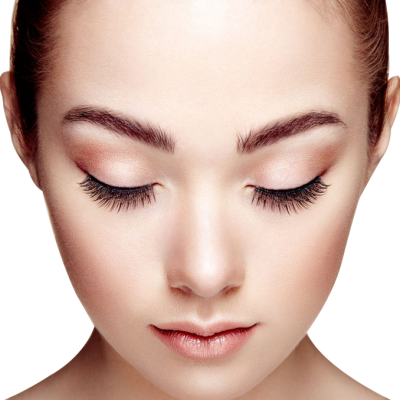 semi-permanent makeup does fade and is expected to last 2-5 years before requiring a touch-up. If you develop excessive redness, itchiness, or white pimple-like spots in the area, you may be having a reaction to the aftercare ointment or any other product on the area.